Our holiday home is in the heart of the Upper Drau Valley Outdoor Park, nestling between the sunny slopes of the Kreuzeck Group to the North and the steep rock formations of the Gail Valley Limestone Alps with the Reißkofel and the Jauken Group to the South: a place for relaxation and holiday experiences. Whether you are a nature lover, sun worshipper, outdoor fan, adventurer or simply looking for peace and quiet – this is a place where you can take time out in nature. Enjoy the sensation of freedom as you canoe gently down the River Drau, on hour-long hikes in the peace of the Kreuzeck group, feel the fresh headwind on a cycle tour along the Drau Cycle Path R1 (Drauradweg R1) or stomp in your snowshoes through the freshly fallen snow in the winter landscape of the Emberger Alm. Here you will discover family-friendliness, wonderful natural settings and an intact village landscape far removed from the noisy hustle and bustle. Numerous leisure facilities in both summer and winter will make your holiday an unforgettable experience: the ruggedly romantic Ochsenschlucht gorge and Geißlochklamm ravine, an experience swimming pool, 9-hole golf course, campsite, tennis courts, rubber dinghy and raft trips on the River Drau, culture and of course the mountains. Click here for the official website of Berg im Drautal. On the Emberger Alm an extensive hiking region awaits you with a panoramic view of 4 countries, an Eldorado for paragliders and hang-gliders, holiday observatories, a meeting place for amateur astronomers, and in winter an ideal family ski region for beginners and epicures, 5 lifts, 10 kilometres of slopes, a high cross-country skiing trail, free ski bus, traditional curling, snowshoe hikes and a ski school. Berg im Drautal is a recognised climatic spa with a medically beneficial climate, which has traditionally been used as a health spa. For your well-being and vitality, as well as the extensive hiking, walking and cycling networks the village also offers numerous running and Nordic walking trails, and mountain bike tours of all levels of difficulty. 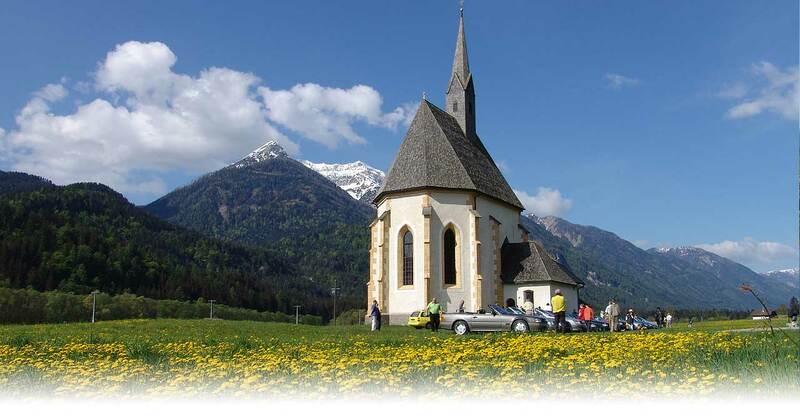 Link: hiking in the Drau Valley. Favoured by the warm southern air that flows from the Ochsenschlucht, here on the southern slopes of the Upper Drau Valley fruit, vegetables and cereals flourish at altitudes of up to 1400 metres. And history bears witness to the fact that the pure, crystal-clear water also makes a contribution to people’s recreation here. More about surrounding and health. The first “summer visitors” came here in the 19th century, and even before the First World War the commercial “tourist trade” blossomed. The first spa establishment on the Emberg opened in1924 (Bad Eisendle), and 1958 saw the opening of the first boarding house with hot and cold running water (Glocknerhof).